New brand: Petra Reijrink hand-crafted jewellery! Handmade Star Black large earrings gold. 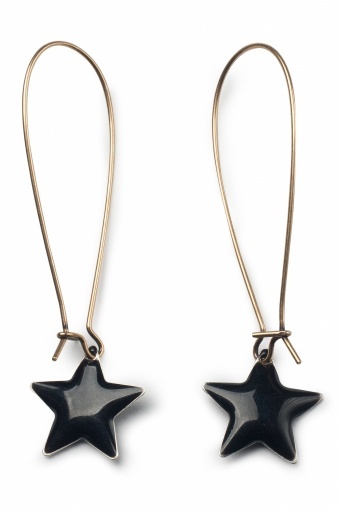 Simple yet supertrendy long earrings with a beautiful on both sides enamelled little star. Made of gold-plated metal alloy (nickelfree).